Together with other rules and class details in British Eventing. 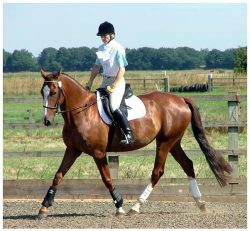 International eventing is governed by the Federation Equestrian International (FEI). In the U.K. the governing body is British Eventing or (BE) and in the USA the governing body is the United States Eventing Association or (USEA). Both the CIC and CCI categories include separate levels, which run from 1 star to 4 star. In order to compete at a British Eventing competition, riders must be in the year of their 14th birthday, (eg; a 13 year old who will be 14 before the 31st December 2011 could compete during 2011), although only in intro and pre-novice classes on a day ticket. The day ticket restricts you to 4 events per year, as only 4 day tickets can be purchased per rider, per year. Riders under the age of 16 can only compete in Intro, PN, JRN and classes confined to Juniors following accreditation and registration with a Junior Regional Novice Co-ordinator. Horses must be over 148cm (14.2hh) to compete in a british eventing competition, but horses between 142 and 148cm (14.0 & 14.2hh) can also compete on a day ticket, but only up to (and including) Pre-Novice events. Horses may not compete until the calendar year in which they turn five. The British Eventing Grading Points System. Event horses entering British Eventing compatitions can gain points at novice level and above. One point is awarded for every double clear (ie; clear rounds in both the showjumping and cross country phases). Additional points are awarded for being placed (placing depends upon the number of starters). Your horse is graded according to the number of points it has won and it will be eligible for entry to different equestrian eventing competition levels; depending on the total number of points it has accumulated. It was agreed nolvadex generic supplements that if side effects during the pilot..